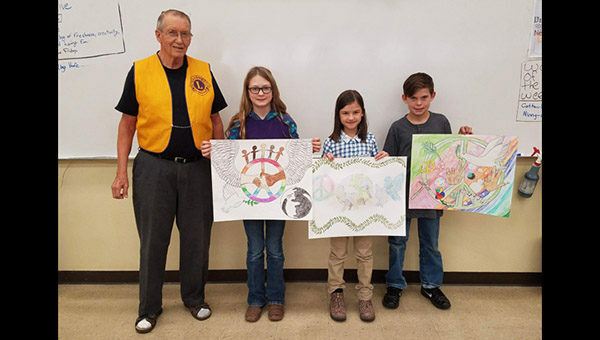 Hillsboro Lions Representative Richard Reimer poses with first place winner Cassidy Bernhardt and runners up Vasilisa Cherenkova and Emery Dalke and their winning posters from the 6th grade art classes. The theme for this year’s Peace Poster Contest was “Kindness Matters”. The contest is sponsored by the Lions. The local Hillsboro club gave prizes to the top three students. Bernhardt’s poster will be in the district contest next.